A lot goes into making a movie, from the casting to the production. However, some would argue that the script is the most pivotal part. After all, you can’t have a movie without a script, right? It’s not the 1930s anymore. Actors sometimes deviate from the lines, creating their own stories for the character. In some cases, it doesn’t work and it ends up on the cutting room floor, but in other cases, the improvised material is better than anyone could’ve ever predicted. Join us as we take a look at some iconic movie scenes that were totally improvised. Jack Nicholson can play crazy like his life depends on it. Way before he was ever the Joker, Nicholson landed the role of Jack Torrence in Stanley Kubrick’s horror flick, The Shining. It’s not hard to see how he landed the part of the maniacal mad man after this. One of the most spine-chilling moments from the movie sees Nicholson’s possessed character hack his way into a bathroom to get to his terrified wife. 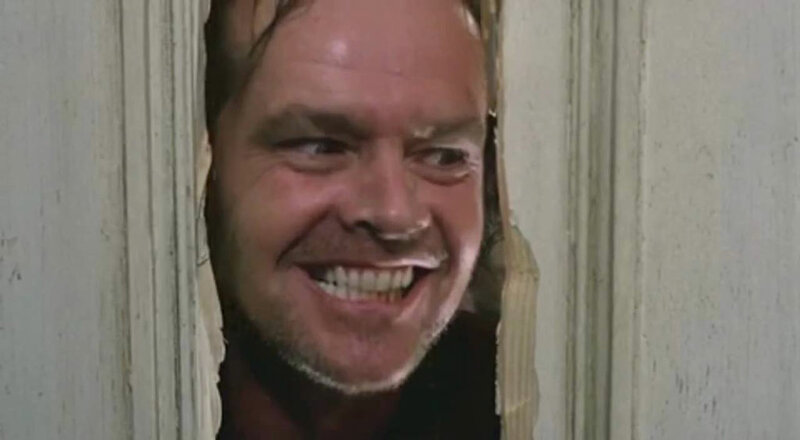 When he smashes the wood with an ax, he cries, “Here’s Johnny!”. Nicholson threw that phrase in after stealing it from Ed McMahon, who used it to introduce Johnny Carson on The Johnny Carson Show.